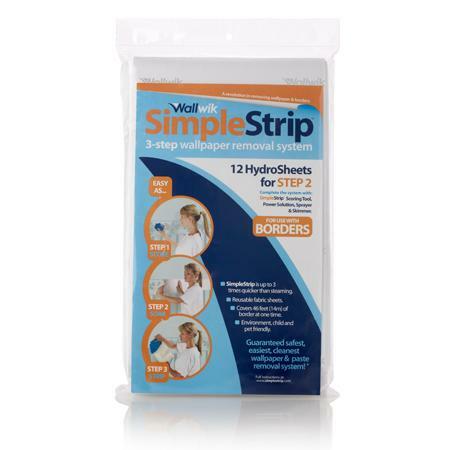 Product description: The revolutionary SimpleStrip HydroSheets for borders are the only product in the world, specifically designed to remove wallpaper borders. The unique highly absorbent HydroSheets hold the moisture against the wallpaper border, to re-hydrate the old paste. Pack details: Each pack contains twelve 7" x 46" sheets - enough to remove 46 feet of wallpaper border at one time. The sheets are also reusable up to 50 times.